The Army Sport Control Board through the Army Elite Sport Programme has appointed a full-time GB Boxing coach at its base in Aldershot as part of a programme to enhance its coaching capabilities and increase opportunities for male and female army boxers. The link-up is part of the Army Elite Sport Programme which aims to raise standards and increase the likelihood of boxers from the Army being selected for the GB Boxing squad and going on to qualify for the Olympic Games. Under the arrangement, GB Boxing has recruited Ben Stewart to work as a full-time coach based at the home of the Army Boxing Team in Aldershot alongside current head coach, Sergeant James Allen. Stewart’s position is part of an initial three-year agreement in partnership with GB Boxing. Ben Stewart has nearly 15 years’ experience of coaching and previously worked as an England Boxing National Coach and a part-time GB Boxing performance coach. At Aldershot he oversees a group of 20 male and female boxers and is supported by four army coaches and a team of sport science practitioners covering a range of disciplines including nutrition, physiotherapy, strength & conditioning, psychology and performance lifestyle. Stewart explained: “The set-up and the facilities here are first-class. The boxers train three times a day and the set-up is very professional. At present there are two Army boxers in the GB Boxing squad with an aspiration to compete at the Olympic Games in 2020 or 2024. Flyweight, Ebonie Jones is a Sapper in the Royal Engineers and the current U22 European Champion. The 20-year old from Portsmouth joined the GB Boxing squad in September 2017 and was promoted to the elite Podium group in April 2018. In June of this year, she was selected for the 2018 European Championships where she reached the quarter-finals before losing to the eventual gold medallist. Macclesfield’s Karriss Artingstall, 23, is a Gunner in the Royal Artillery and currently on a three-month trial with GB Boxing’s Podium Potential squad. 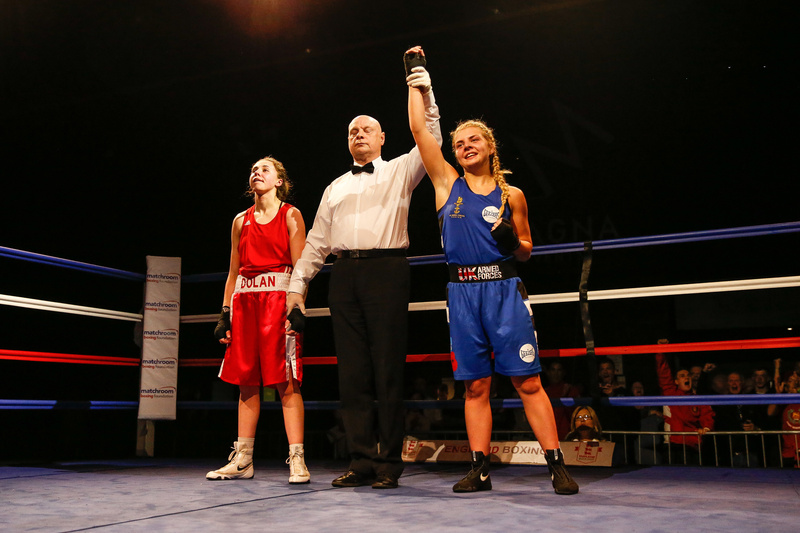 She competed at the 2018 European Championships and was one of seven Army boxers to make it to the final in the 2018 England Boxing Elite National Championships where she won the featherweight title. Other Army boxers that have their eyes on getting into the GB Boxing squad and competed in the 2018 finals of the England Boxing Elite National Championships include: Tori-Ellis Willetts (flyweight), Shanice James (lightweight), Megan Reid (light-welterweight) and Natty Ngwenya (heavyweight).